The online application consists of three simple steps. 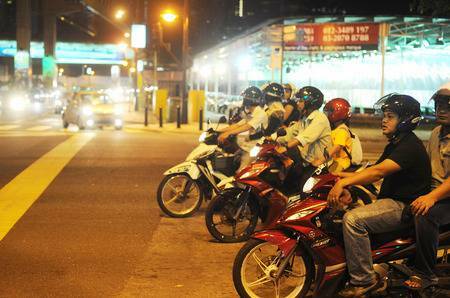 Loanstreet launched the online insurance agency service to address the alarmingly low rate of insurance coverage purchased by motorcyclists in Malaysia despite the high rate of road accident fatalities, as shown in a study published by IATSS Research. The process "can be completed via a smartphone in just 5 minutes," and doorstep delivery of road tax is included. "Road tax is sometimes forgotten and neglected. It's also a bit of an annoyance sometimes but it's essential so we added an easy online road tax to complement both motorcycles and car insurance," said Jared. Enter vehicle and personal information to get a customised quote﻿. Agree to the price and make payment. Receive a cover note via email. The insurance will then be delivered to the customers' doorsteps. Loanstreet collaborated with Zurich General Insurance Malaysia Berhad on the platform to "help Malaysians stay protected on and off the road"
"We trust the Loanstreet insurance portal will pave the way for customers to obtain the protection that they and their loved ones deserve in a hassle-free and convenient way," said Junior Cho, Senior Vice President and Head of Market Management for the General Insurance and Takaful segment for Zurich Malaysia. With the help of Finology Sdn Bhd, the technology provider behind the service, Loanstreet also plans to provide aggregation services that compare insurance plans and rates to help customers make informed decisions. 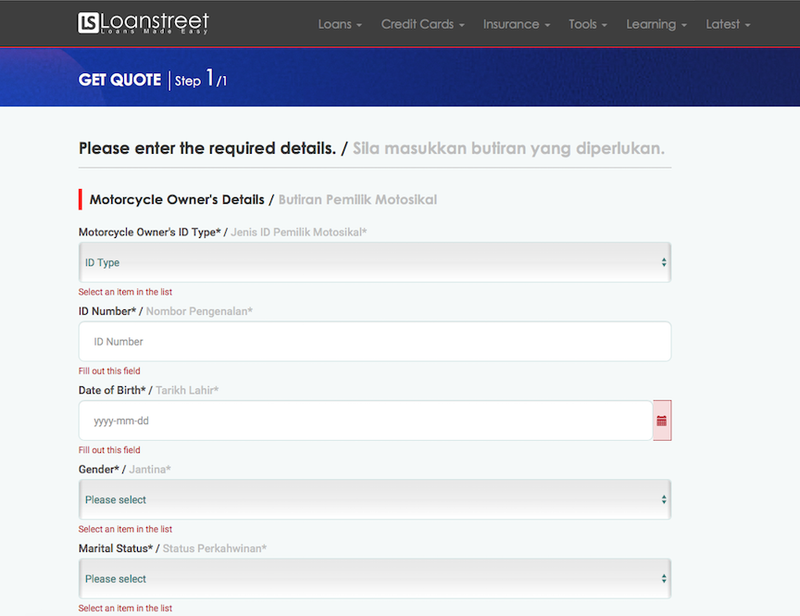 Get your motorcycle insurance renewed by getting your quote on Loanstreet now! No need for queues or appointments anymore. The i-Tegur app was launched by the government earlier this month.